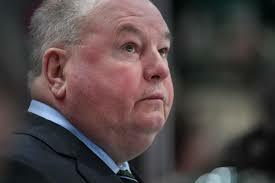 Video (00:22) : Coach Bruce Boudreau discusses the 4-1 loss to the Blackhawks. The performance of the penalty kill wasn’t a problem in either of the Wild’s last two losses. It’s the amount of times the unit has been ushered into duty, however, that’s been a concern, with a parade to the box headlining the 4-1 setback to the Blackhawks Sunday at United Center. For the second straight game, the Wild put the opposition on the power play six times. And although the Blackhawks were as unsuccessful as the Oilers were in a 3-2 win over the Wild Saturday at Xcel Energy Center, both teams capitalized on other upsides – chiefly momentum and zone time. The latter wasn’t wasted by the Blackhawks, as 14 of their 46 shots (roughly 30 percent) came with the man advantage. Spotless play by the penalty killers is the silver lining, but putting the unit on the ice this much is risky – especially with the NHL’s No.1 power play in the Lightning at the conclusion of this road trip. Here’s what else to watch for after the Wild’s loss to the Blackhawks. Defenseman Jared Spurgeon is back in the mix after returning to the lineup Sunday following a nine-game absence due to a groin strain. Spurgeon played 23 minutes, 20 seconds, finished a minus-1 and blocked three shots. With this his first game since the end of November, the pace of play was quick for Spurgeon so he tried to simplify his approach and avoid fancy plays. He was the one who made the ill-timed line change that helped spring Blackhawks superstar Patrick Kane for a breakaway on the game-winning goal, but getting Spurgeon back is still a major lift for the blue line. “It felt good to be back out there,” Spurgeon said. “Obviously you'd like to make a difference and [have] the team come out with a win. But I was happy to be back." Dumba continued his offensive tear of late, scoring his third goal in his last two games. All three of those goals have been the Wild’s lone production in those contests and while more help is certainly needed, having Dumba on a roll is encouraging. The loss to the Blackhawks was the Wild’s second straight loss, a short slide but one that has the potential to snowball and sabotage the momentum the team built with a recent four-game run. Being on the road, however, could help correct that, as the Wild rebounded from a loss at the outset of its California road trip earlier this month to win the remaining games. Can reshuffled lines help Wild forwards snap their scoring slump?